In addition to certification courses, 3Back also offers Agile Scrum training and consulting to fit a variety of needs. We use a well-formed team approach in our engagements. Our focus is on people first. We are passionate about both people and technology and how we can build better systems comprised of both. 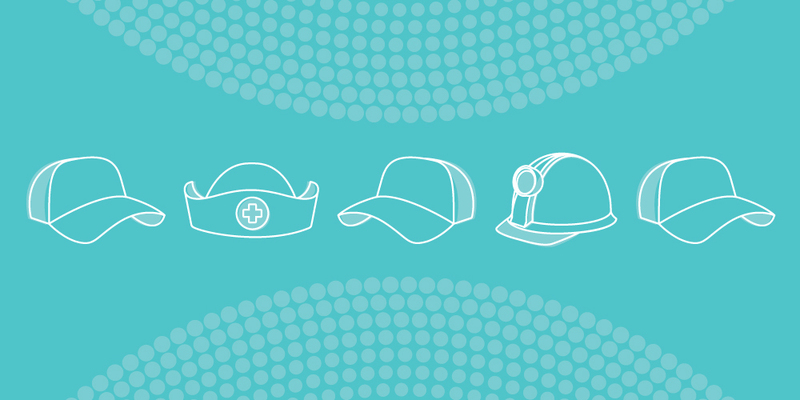 We make teams better, and better teams make better products. Our training covers everything from Solving Toxic Team Norms to Empowering your Scrum Teams! One of the ways we engage with people is through Discovery Workshops. 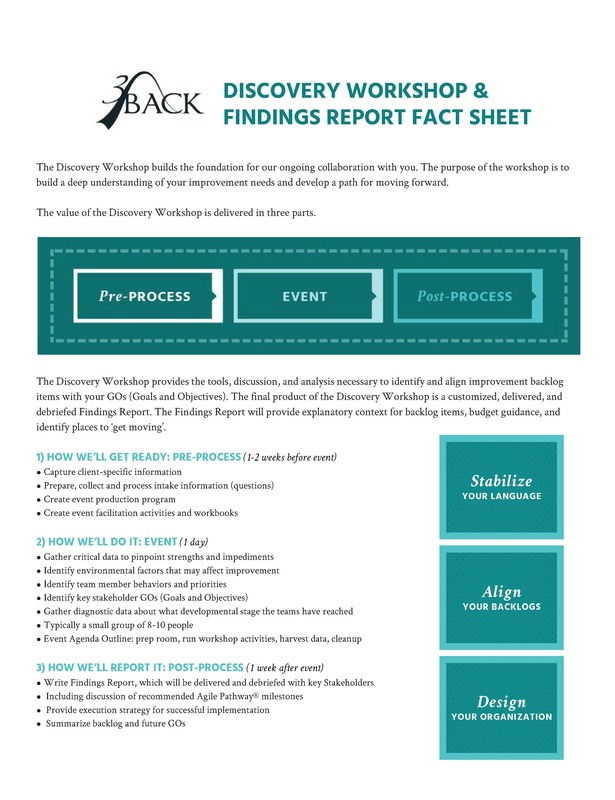 Want a more in-depth look at our Discovery Workshops? Download our Fact Sheet to get all the details. How ready are you for adopting Agile? Are you making good use of the Agile teams that you have? Is the decline into calcification inevitable? Through our agile scrum training, we can help your organization realize and continue to realize the benefits of Agile teams. It does not have to be a process of “a new thing” that gets standardized and then falls into the habit of over-complicating simple concepts that work. Keep your teams and organization simple; 3Back can help you through our Agile Scrum training and consulting. If you’re interested in learning more about our consulting services, reach out today. We’ll work with you to determine which services are the right fit for your organization.